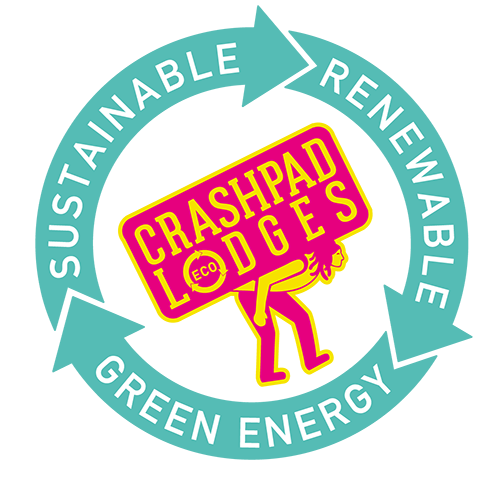 Please note that Crashpad Lodges ran at Yr Helfa is located in a very unique location. If you have any questions please contact us. All booking are made for the whole and sole use of the Lodge and can accommodate up to 16 people. Check in can only be made after 3pm on your arrival. If you wish to arrive earlier, please let us know on your enquiry. Due to the remote location we require all guests to phone ahead of travelling to let us know the time of arrival so we can meet and take guests to the Lodge. The Lodge must be vacated by 11am on the day of your departure to allow for change overs. Unfortunately pets are not permitted at the Lodge. This is to protect the livestock in the surrounding fields. Please be aware that farmers have the right to take action on any pets which are deemed loose and danegrous.